Ms. Alicia: What a beautiful and warm fall week. 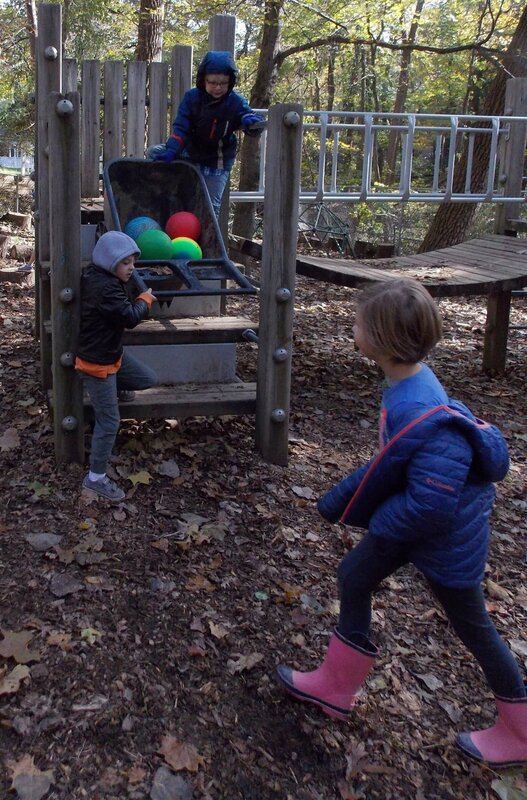 It was perfect for celebrations of the changing weather, fall harvests, and our families. When I think of fall, I think of preparing for the winter, gathering the last strong rays of sunshine, and turning inward and reflecting on ourselves and possible changes we might want to work on. In particular, I have been thinking quite a lot about conflict resolution. When I encounter a conflict, how do I deal with it? When and where did I learn to react or act in that way? How am I reacting or acting with our students when I have a conflict or I witness a conflict between them? How can I improve my reaction or action to be the most focused on solutions? Are there times when there are no solutions and we just need to sit with these hard feelings and use them to inform future experiences? In the classroom and on the playground, we teachers try to observe when conflict happens and encourage the children to come up with solutions independently. We find that they have been told many times how to solve their problems, but in the moment, we sometimes forget to give them the space to figure it out on their own. If a situation becomes unsafe physically or emotionally, we always intervene. Otherwise, we ask ourselves how we can encourage the children to solve their own problems. For example, earlier in the week, a little tweet tweet took four eggs (balls) out of the shed and was sprawled out over them protecting them. Another little tweet tweet became very upset because he wanted the orange egg, and definitely not the blue or green or yellow! I stood and observed as one tweet tweet guarded his eggs for dear life while the other cried and pleaded and begged. I watched and said, "Wow, this is a really hard situation because you both really want that ball." Just then a wise hawk swooped in, grabbed another ball out of the shed, and asked the first tweet tweet if he would trade her for the orange ball, then gave the orange ball to the second tweet tweet. Everyone was perfectly happy with the arrangement and both tweet tweets said that next time they thought they could handle the situation differently!